Cristal Renovations save you time and money by creating a streamlined renovation for your home. Your renovation will help improve the comfort of your home by giving you a more useable space whether it be a kitchen, bathroom or basement area. Cristal Renovations has an experienced team who will work together to create your vision. We are experienced with older homes as well as modern. We have a decade and a half of experience and understand different home types. Our goal is to find solutions and create a beautiful and functional environment for you and your family. Good remodelling starts with a good design. We ensure that our design is what you envisioned, and once approved, we update the structure and the electrical and plumbing systems in your home. We complete the look by adding beautiful finishes. You will be given a large choice of materials to choose from to complete the aesthetic look. Our results are amazing and we have many satisfied customers. Please contact us and get a free quote for your renovation – we are happy to help! Many people believe that the kitchen is the heart of any home. Is it time to have your kitchen reflect your tastes and operate as a beautiful and functional space, making it a joy to work in? Have you recently moved and have inherited a kitchen that just does not work for you? We can help you achieve your perfect kitchen. Once you have decided to renovate your kitchen where do you begin? Your new kitchen design is paramount to success. Our designer will review your needs and your space and, because of experience, can ensure that your work areas are fully functional. Our designer can come up with a colour scheme to ensure that the final result is a functional, attractive kitchen making the most of the space available to you. 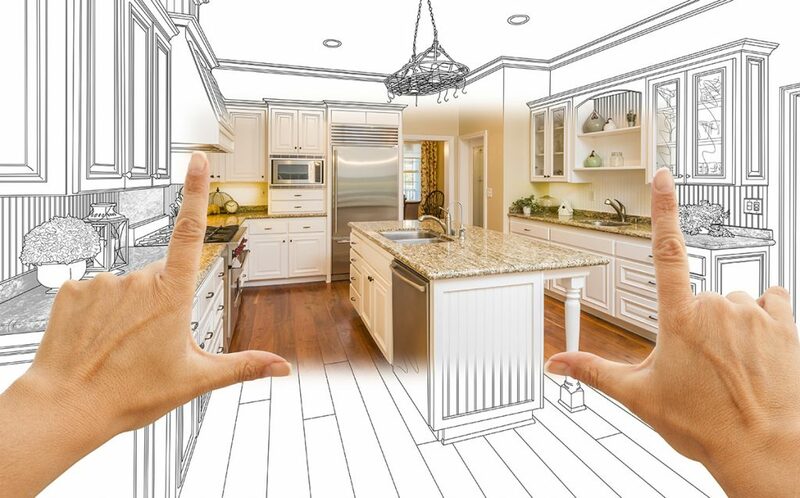 Through the years we have renovated many kitchens and our renovation team will work together in harmony to update all your electrical, plumbing and structure. Once the solid foundation is laid, we can offer you a large selection of ceramic, marble or granite tiles and counter tops to complete the look. Want an inspired kitchen? Give us a call and let us show you what we can do. Our quote is free and comes with no obligation. Want to update your bathroom to something more modern? Want to create a spa-like bathroom where you can relax after a long day? Have you inherited an older bathroom when you purchased a new house, and need to change it? We can help you with all your bathroom renovations. If you are lucky enough to have a large bathroom, we can create a beautiful space in which to relax after your long day. If you need to update a small bathroom, we can make the most of your existing space. Good design is essential to good bathrooms. Our designer will give you options to choose from, and once approved, our team can update the structure with new lighting and up-to-date plumbing, and install your bathroom choices. Over the years, we have created many different types of bathrooms: modern, traditional, rustic etc., so we can give you a large selection of choices for your final finishes. The results are amazing! So you have all this extra space down in your basement, but it is just not working well for you! Basement renovations can be really satisfying, making your home more functional and giving you defined areas for your family to use. Many basements end up as large storage areas but lack the storage facilities needed. Whether you wish to have a family room, an extra bathroom, a bar or a guest bedroom in your basement, give us a call. We specialize in turning basement areas into stunningly beautiful rooms with a purpose. Our designer will take your complete basement area and divide it up for you into the rooms you would like. Once the overall design is decided upon, then each room will be addressed as to its use and the aesthetic look required. When the drywalling and structural work is completed, you will begin to see how your basement becomes more usable. There are all kinds of uses for your basement, a playroom for the kids, a hobby area for you or the whole family, a theatre for movie watching, a lovely new laundry room or a family room with a fireplace. We love to take a large uninteresting space and make it into something usable and inspiring! Contact us today and get your free quote, there is no obligation. Please contact us for a free quote on a kitchen, bathroom or basement renovation. You will be under no obligation.